Interski involves a week-long workshop and a show on the snow, the purpose of which is to promote the sport of skiing. Ski and snowboard schools from all around the world meet to compare notes on the current situation and the latest developments on the market, with regard to new and upcoming technical/teaching solutions, and lastly what is being done to promote skiing and snowboarding. The previous edition of Interski took place in Austria (St. Anton) in 2011, while the very first edition was held in Zurs, in 1951. It was a three-yearly event until 1971, when it became a four-yearly one like the Olympics and the World Championships. 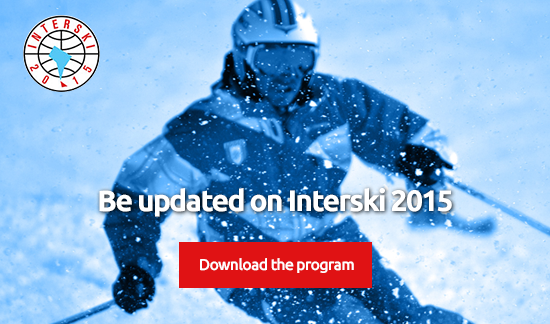 Interski takes place every four years, like the Olympic Games and the World Championships. On the occasion, Ski and Snowboard schools from all around the world compare the various techniques and teaching solutions available. And not only. They also take part in spectacular downhill skiing representing the very best of technical expression and where showmanship and choreography take centre stage. In practice, each Country aims to demonstrate the level they can attain with the finest technical ability, and the result is a display of exceptional standard and skill. The 2015 edition of Interski will take place in Ushuaia (ARG) between September 5th and 12th.